We recently reached out to a few of our expert BundlePost users that are also social media professionals to get their tips and best practices. These are industry professionals that spend their time actually doing effective social media marketing, not focusing on teaching, speaking, or trying to be an industry celebrity. The folks you are about to hear from execute social media professionally and their revenue comes from doing this effectively for clients and/or their brand. These professionals don’t make money teaching, speaking and writing about social media marketing theory, rather they quietly get real results in an industry fraught with many bullhorns that have no legs. You will find this to be one of the longest blog posts we have ever generated, however you will also find that the knowledge, experience and advice these BundlePost experts provide will be invaluable. Join us as we celebrate these professionals and their experienced use of the BundlePost technology. They are listed below in no particular order. BundlePost is one of the most used tools in my social media toolbox. Without a doubt it is the easiest and most efficient way to organize and manage large amounts of content for sharing over multiple social media platforms, but that’s not the only reason I use it daily. Since Facebook’s decision to reduce the amount of organic Page traffic down to 1% and 2% I’ve had to find other ways to generate traffic to Facebook Pages. One way is by using BundlePost to repurpose content and boost traffic to fanpages from other social media platforms like Twitter and Google+. This process has eliminated the need to purchase Facebook ads and I’ve been able to restore a lot of traffic back to pre Edgerank percentages for a number of my clients. Create an RSS feed for the Facebook Page you want to promote in BundlePost. Create a schedule in BundlePost for the social media platform you want to share your Facebook content to. Post at the optimal time for each social media platform. Google+, Twitter, LinkedIn and Pinterest Page analytics can help you determine time to repurpose content. Utilize BundlePost content folders to get creative and change titles for your repurposed content to avoid sounding repetitive when re-sharing multiple times. Build your following on all your social media pages. The more followers you have the easier it will be to direct more traffic to a Facebook Page. At this time there are limitations with scheduling links from Facebook Pages to other platforms like Pinterest and Google+. You will find the images do not populate. Keep this detail in mind when you are choosing the right Facebook Page content to schedule for Google+. You can use this strategy to link pins back to a Facebook Page but I don’t recommend doing it through BundlePost at this time because Pinterest posts need an image to be effective. I suggest scheduling a pin with an image and a link to the Facebook post you wish to repurpose with Sendible. However, there are limitations to scheduling pins via Sendible at this time. For example, all scheduled pins will be pinned to your first board by default, but you can easily change the order of your boards with Pinterest’s drag and drop function. I like to change the order of my client’s boards each week based on the content I plan to repurpose. This is just one of my favorite uses for BundlePost that makes it possible for me get the most out of my time and effort and avoid unnecessary costly fees. When I was first introduced to BundlePost I was spending HOURS finding content for my clients and our agency was “stuck” at a certain point of growth because of the amount of time put into finding content rather than engaging and communicating and growing. After seeing BundlePost in action it was clear that we were going to save a lot of time scouring the Internet for hours finding content. In just a few short weeks we were able to spend ½ the time generating content for all our clients social media outlets and we spent that time growing their following and engaging with them instead of stuck behind a screen of bookmarked articles. Understanding that social is about sharing and providing value to your “tribe” of people who chose to follow you, we knew that the content needed to be up to date, current and of course follow the trends in each industry we have clients in. By understanding that, and using the feed channels in BundlePost our clients can now post such a variety of information and resources on such a consistent basis they look like marketing rock stars. For example, we have a Realtor who we have educated that social media is not about the listings, but rather the value you provide on a daily basis and when the time comes that someone in your tribe knows someone looking to buy or sell, you are the person they go to! We use the various feed channels set up in BundlePost to put such a variety of information out to his followers that the amount of RT, likes, shares, and +1’s immediately jumped. By interacting with those people and continuing to build a relationship this realtor has connected and sold to people he would have never been able to touch via traditional advertising. Another amazing BundlePost feature that has made our clients and us look like Rockstars is the hash-tagging feature. With one click, I can auto-hashtag posts making it look like we spent hours re-writing the said posts with the appropriate hashtags. One trick that we have used is the attribution feature, while it is to be used for giving credit to the author or source, we have also used it for creative hash tags that normally wouldn’t be used to replace, rather add to the post. For example a feed from a real estate digital blog is always hashtagged with #digitalgenius as well as the attribution. By using this feature we have also created some self-made and branded hashtags for our clients. 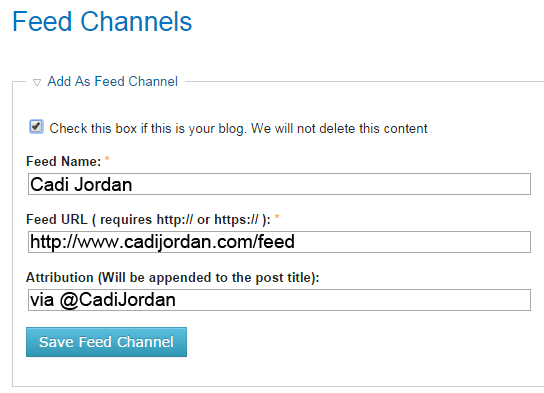 We also use this feature for promoting our clients own blog posts and utilizing hashtags when sharing. One local real estate office has been using #RM4K for RE/MAX 4000 on all content generated from the office as well as they brand it online and in what little print they do. The time saved by having that hashtag auto post when posting their bundle feed from their blog has been remarkable. Not only has BundlePost helped us be incredibly efficient with our social media time management, but the results we have shown clients from our social media efforts has created a strong hold on the market and allowed us to raise our prices. That’s right! Not only have we raised our prices, but we also now have a waiting list of clients that want to work with us. In a world of so much competition in social media, and constantly changing platforms, the one thing you need is consistent content, BundlePost provides that in an easy to use format that saves time, money and of course stress. It made sense for me to go with a software product conceived and built out of the pain points of a Social Media Agency. The minute I saw the live demo, I knew this was the tool I needed to make my brands shine in the realm of social business content curation, engagement, and relationship building that leads to real results. BundlePost has made it much more efficient for me to combine traditional and digital marketing practices; seamlessly woven together now, throughout my business. 1. Campaigns happen daily, not in a silo. Integrate every post to be more cohesive with your branding year-round. Eliminate the stress of one big push here and there. Rather than forcing a campaign, try something different, using BundlePost “My Content” folders. Events, such as – Book Launches, Fundraisers, and Timed Offers are all attached to due dates. Be sure to have your My Content folders and saved posts set up BEFORE (trickle them through starting months ahead, so your audience becomes familiar, and has time to share your messages), DURING, and AFTER (I always say that effective Follow Through makes all the difference and it’s never more true than in relationship building). BundlePost provides the tools to set all this up in advance, while freeing me up to engage in real-time along the way. 2. Make it EASY for others to share/reTweet. If you really want something shared, keep it brief, to the point, and frequent enough (top-of-mind), without being obnoxious. – Real-time thought-starters and engagement. Use the Bundlet to pull timeless content from any web page and save it in a Queue folder for your next export. The Bundlet chrome extension makes it super easy and fast to keep up with the relevant content I come across daily. One click and it’s added to my BundlePost queues. For example, I like to inspire people into action with positive stories and quotes. I make a habit of “collecting” these types of posts, created by others who are brilliant and talented, as well as creating my own. These are just a handful of the ways I use BundlePost to increase the time, efficiency, and fun I bring to my business practices. The best part is that BundlePost is so progressive that I’m always picking up more tricks that I hadn’t tried yet. For me, as a forward-thinking entrepreneur, it’s exciting to have my fingertips on the pulse of software developers that understand exactly what I need and implement crucial elements for my ongoing success. 1. Schedules: You’ll need to first set-up schedules in BundlePost. You should set-up multiple schedules for every account you manage. E.g. SteamFeed – Twitter, DanielGHebert – Twitter, SteamFeed – Facebook, SteamFeed – LinkedIn, and SteamFeed – Follow Friday. You could also set-up promotional schedules for each account you manage, based on specific campaigns. You might want to use a tool like Tweriod.com or anything that can show you optimal times to tweet for each account, and set-up your BundlePost schedules based on this. 2. Feeds: Feeds get sorted/grouped by alphabetical order in BundlePost exports, so keep this in mind when setting up your feeds in your dashboard. The best way to enter it is tagging accounts/people that will be using the feeds, then whether it’s a blog, news, or alert, and then the source name. E.g. @danielghebert – Blog – SteamFeed. When you’re looking specific feeds in your export, you can just scroll down to the right account, and all your feeds will be grouped together, instead of having to sift through 100s of feeds that are randomly tagged. 3. Attribution: One of the best features of BundlePost is the automatic attribution to each post you curate. But you need to be strategic about it. Mention the sources with either “by @handle” or “via @handle”. You can also add hashtags in this field. E.g. “via @SteamFeedcom #SMB” will be appended at the end of each tweets if you set it up this way. This is a huge time saver, and if used strategically, it can greatly help with reach. 4. My Content: Same concept with My Content folders, you need to organize it by account. Also, indicate what the folder is for. E.g. SteamFeed – videos, Steamfeed – Everygreen Blog Posts, SteamFeed – Newsletter Signups. This will make it very easy for you to find the right content to choose from when you’re ready to do an export. 5. Hashtags: Think about the different ways you could group hashtags. You can create hashtag folders by accounts you manage, or group them by topics. E.g. DanielGHebert, SteamFeedCom, Marketing Hashtags, SEO Hashtags, etc. Grouping it this way will make it quick and easy for you to use the right hashtags during an export. 6. Follow Friday Folders: This folder can be used strategically in several ways. You can target specific people you want to build relationships with (i.e. influencers, prospects, existing clients), add a personalized follow Friday in a folder, and then every few weeks run a follow Friday schedule that mentions these people. It creates an automatic touchpoint, and can be very useful in building and maintaining relationships with key prospects. The key to BundlePost is efficiency. It can save you a ton of administrative/scheduling time if you do it right. Think about the different ways you’ll be using BundlePost, and which accounts or campaigns will be entered into the system. For every minute of planning you spend, you can save 10 minutes of execution. Don’t waste away your newly gained efficiencies by not spending time thinking about organization. Curating content doesn’t have to take up too much time. RSS feeds and the Bundlet will probably become your best friends to help you curate content! 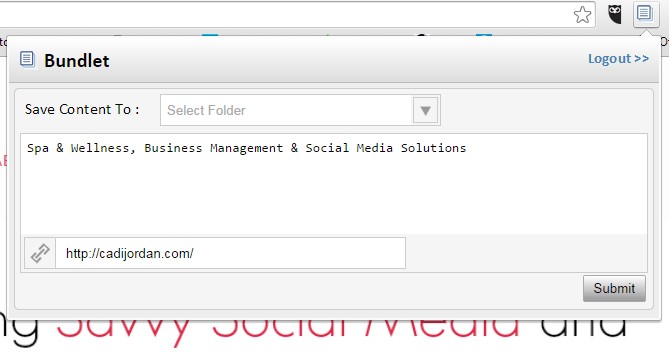 After curation you will download it into a CSV file and upload it through your social media management platform. This allows you to share great content and frees you up time to engage! These two key components of BundlePost will allow you to rock your content curation in no time! They’re alive, well and still very useful for you! You’re still going to read some of your favorite blogs in real-time and share from the social sharing buttons but you’re also going to be able to take that RSS feed and add it straight into BundlePost. Adding your favorite RSS feeds from those you love will create a feed that pulls from the most recent blog posts so that you have them all in one easy spot! Here’s how to create a content feed. Click on Feeds and Add a Feed Channel. Fill out the information as you see it below. If you ‘check this box’ at the top then your content from that feed will not be purged after use. It is important to remember that it will take approximately 24 hours before the feed pulls content here. Clearly name your feeds so that you can easily find them later. You can add as many feeds as you like. The feed URL will look similar to the one in the above image. Be sure to use the correct one so that the feed will curate properly. Attribution is for the twitter handle of the author or company. This will be pulled in when you download your CVS file. As with many things social media related this part will take a little time. Sit down and make your wish list so that you can easily go in and add your feeds when you begin as this too will save you time. After you’ve got many feeds curated it will become easy to drop in as you find new ones and quickly add more. Ok, maybe not every day…. but the Bundlet allows easy access to curating more content! First you’ll need to go the support column on BundlePost and click on ‘install the Bundlet’ then walk through the steps there. You will then have a Bundlet extension in the top right of your Google Chrome browser as you see here. Go to the website that you wish to curate content from and click on the Bundlet. You can do this from any page on the website. As you can see from the image you can now save this URL to one of your ‘My Content’ folders and type whatever lead sentence you would like in to the text box. This is an easy way to curate the same URL content from one location, multiple times with varying copy! RSS feeds and the Bundlet are a time saver. Do you have time-saving tips? Do you need more time-saving tips? I am a social media marketer that manages the content of over 20 different companies and brands. I’ve known about BundlePost for a year or two, though I have always had my own method and systems for social media marketing and never looked too serious at BundlePost or any other tools outside of what I have been using for years. A few months ago, I decided to jump right in with both feet and try something different. I signed up for BundlePost and it has become a vital part of what I do as a social media marketer. I could go on and on about why I like BundlePost, but I thought what might be most useful is for me to go beyond the obvious benefits of BundlePost and share a few tips and tricks that I have implemented. First, I love that I can select the times and frequency of which my content will post. Every brands audience is different, and therefore the optimal times to post will vary. However, one thing I do that has helped increase my posts visibility and shares that I highly recommend for you is to schedule your posts to post at time other than on the hour, quarter-hour or half hour. By this I mean, instead of scheduling posts for 1:00, 1:15 and 1:30, schedule the posts for 1:05, 1:20 and 1:35. The reason for this is that auto scheduling is becoming more widely used, even by the casual users, and most everyone who auto schedules posts, schedules it to post on the hour or on the half hour. If you wait and post 5 minutes after everyone else does, you’re content will have a lot less noise to compete with and your visibility and shares will increase. Second, I like that I can save the content that I want to repost every week or every day. With some of my clients, I will post content such as their website or Facebook page in a tweet every day. If you send out 20+ curated tweets a day, there will be a few marketing tweets that you want to send out also. My tip is to use the randomize function to alter the times that those tweets post. Though those of you reading this are probably like me and spend a great deal of time on social networks all throughout the day and night, most people don’t. The person who sees your tweets at 8-10am on a Monday has probably never seen what you post at 7-10pm on Tuesday. When you use the BundlePost randomize function for scheduled posts that you consistently share and post the content at different times each day, you open your content up to a broader audience. Last, I encourage you to get on BundlePost, play around with it and request a one on one setup/training meeting. 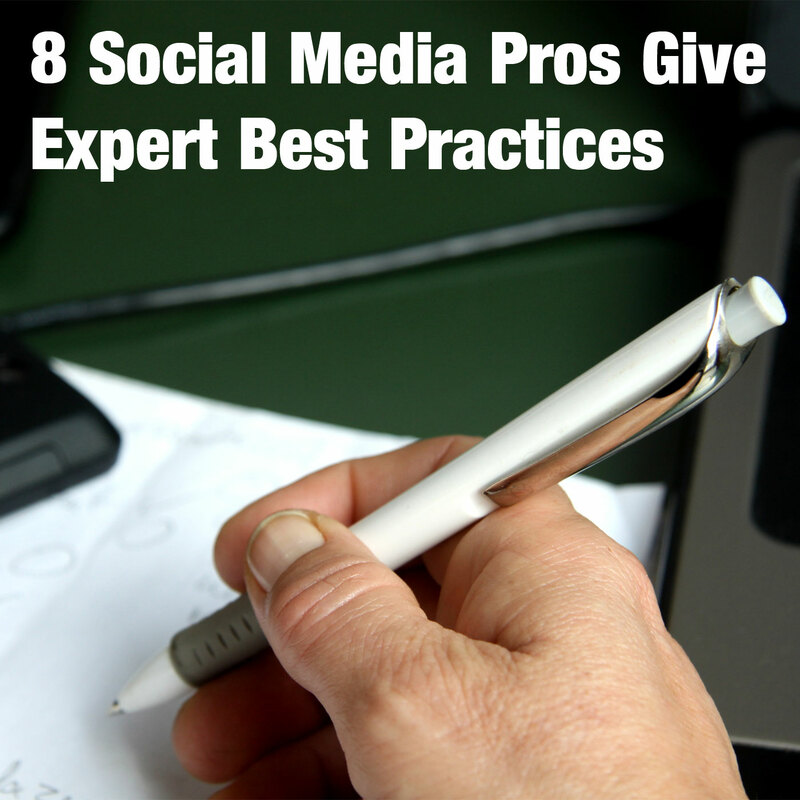 Listen to all the best practice tips you can, but then find a system that works for you. The best thing about BundlePost is that it has the automation and flexibility to allow you to incorporate your own strategies and systems, while providing complete control over what goes to your streams. Have fun with it and find a system that works for you. BundlePost rocks. It aggregates content feeds, allows me to keep folders of direct brand content, and hashtags everything in a few seconds before packaging it in a fabulous little .CSV file. But the real power of BundlePost was introduced to me during the re-launch of its brand. I was asked to assist with spreading the word for BundlePost’s launch, and then given a .CSV file to upload into Hootsuite containing all the promotional tweets scheduled out for seven days at different times. That’s it – all I had to do. It blew my mind. Rather than asking me to tweet something or giving me several posts I had to manually copy, paste and schedule, I was given a single file to upload into my social dashboard with everything done for me. In 2013, my friend @KP_Kelly (another BundlePost Pro user) and I created a nonprofit, @Share4Kids that grants the wishes of terminally ill children through the power of social sharing. It began slowly utilizing Facebook and Twitter, and was just officially launched a few weeks ago when KP ran across the state of Ohio to raise awareness and money for our organization. In the next few months, we will launch our partner program where we ask other social media professionals to help us spread wishes and promotional information about #S4K on a regular basis, but the heavy lifting will be done by BundlePost. We will create one BundlePost export file containing all the wish information, links, and pictures to distribute to everyone. This will make it very convenient for our partners to be involved while we are able to effectively manage the campaign and maintain control of the information going out. What business can’t use such a method for their promotional campaigns?? As a Digital Marketing Director for a company with many different vertical markets, one of my challenges is finding fresh, “curatable” content that my audience will be interested in. BundlePost is an integral part of my company focused digital marketing strategy, as well as a great tool I use for my own personal branding. The best feature I love is the unlimited feed channels. This means I can be very specific as well as broad on the types of content I want to see. Using both keywords and RSS feeds from specific sites, I end up with a boatload of content that I pick the best from to post on my personal and company social media channels. Every day my feed content selection has thousands of highly relevant posts, from which I select roughly the top 1% to post. One tip I have is to be derivative in your keyword selection when using Google Alerts. For example, create several forms of a topic like B2B, BtoB, B2B’s, business to business. This helps you get a much wider selection of content to choose from. I prefer to manually select from content, rather than schedule out in advance, since it only takes me 15 minutes or so to curate, hashtag, randomize the posts and schedule for export to Hootsuite for an entire day, over multiple social accounts. So what are my results? Since I have many different profiles, I use about.me as my outbound URL across my social channels. Prior to using BundlePost, I was averaging around 35 views a week, now my views average 520 a week, as well as a substantial increase in Twitter followers, LinkedIn connections and Google+ page views. In and of itself that is great, but BundlePost has done what I wanted it to do, drive traffic to the different properties I manage, generate interest in our products and services as well as create a compelling online portfolio showcasing our knowledge of the market sectors we are involved with. I LOVE love love hearing from other Bundle Post Pro Users and I have learned so much just reading through all these great tips from people in our industry who I know and respect. If it weren’t for our Bundle Post community, I might not have “met” these smarty pants peeps. Thank you, Robert and team, for honoring me here, and including me in your tribe. I’m grateful for this software, which is a mainstay for my growing business. It’s a pleasure to sing your song from the rooftops, so that more Agencies can learn to execute Social Business properly and efficiently. We are honored to have you Lynn and appreciate your contributions daily.